The leisurely pace, culture-rich itineraries and lack of facilities for children make river cruises very appealing to the Baby Boomer and senior age group. River cruisers tend to be aged 55-plus with no upper limit -- it's not unheard of to cruise with nonagenarians. Given that target audience, you'd think river cruises would be set up for travelers with disabilities. Unfortunately, this is not the case. River cruising presents various challenges to disabled cruisers both on and off the ship, and travelers who use wheelchairs or have difficulty walking need to be aware of the possible pitfalls before they book. From a dearth of accessible cabins to shore excursions that can't accommodate wheelchair users, river cruises aren't always smooth sailing for disabled travelers. However, it's not all bad news. 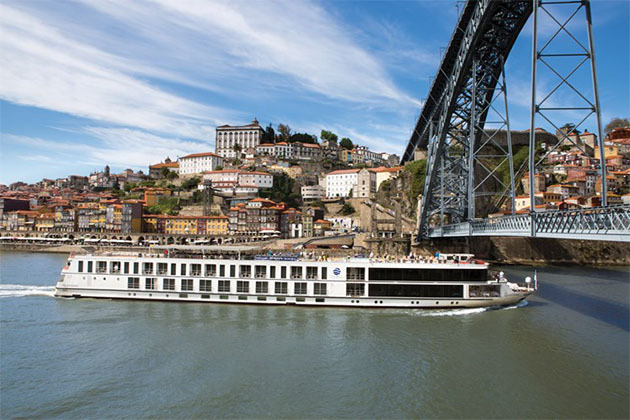 Armed with the right information about wheelchair-accessible river cruises, and knowing exactly what to expect, you can find a river ship that provides a very enjoyable and satisfying experience. It pays to do your homework; to get you started, here is our guide to accessible river cruising. Choose the Right River Ship. It's hard to find information about facilities for disabled passengers on cruise line websites and in their glossy brochures. River ships might look pretty similar on the outside, but they can be very different on the inside. If you're concerned about how mobility issues will impact your enjoyment of a river cruise, make sure you ask about the following areas before booking. Bathrooms: Although it's rare to find bathtubs on riverships, the bathrooms can vary. Some shower stalls have fixed doors with limited access, while others have handy doors that fold right back to create one large area of bathroom space. You'll need to inquire about bathroom configuration -- especially if you're not booking a special accessible room. Elevators: Most modern ships have elevators, but they vary in the number of decks they serve. As river vessels have to pass beneath low bridges, the sun deck is often only accessible by stairs. Some vessels (notably newer Uniworld ships, Vantage vessels and charter ship Alegria) have a special chair lift to take wheelchair passengers to the top deck, but such lifts are still fairly rare. Gangways: Getting on and off riverboats can be tricky for passengers with mobility issues. Sometimes two or three ships are moored alongside each other, so passengers on the outermost vessels have to cross over gangways that link the ships together -- usually on the sun deck or atrium level -- and negotiate stairs to get ashore. It is very difficult for lines to guarantee that these "rafted" moorings will not take place during a cruise. Most lines specify that wheelchair users have to be accompanied by someone who can assist them and be responsible for their embarkation and disembarkation. Despite this official line, crewmembers will often lend a hand -- but this can never be guaranteed as river vessels have a relatively small number of staff, and nobody will be assigned to help disabled passengers. You do not want to book a cruise only to find out that you cannot board -- or that once on, you can't get off in port. Plan for Excursions That Are Wheelchair Accessible. As daily excursions are generally included in the river cruise fare, you won't get value for money if you can't join many of them. Usually, there are some options for wheelchair users and passengers who can navigate a few steps and go on short walks, but not every tour or attraction will be available to you. Because Europe's rivers are historic working waterways, many important cities and wine-growing towns line the banks. This is good news for disabled travellers because it means that museums, churches, shops, restaurants and other attractions are usually very close by, with no need for bus transfers. Viking, in particular, has prime central mooring spots as it owns its own docks. Look for cruise lines that grade their guided walking tours according to fitness levels; slower walks that don't involve any steps are usually suitable for people in wheelchairs and with restricted mobility. The bad news is that many of Europe's old towns have cobbled streets, which can present problems. 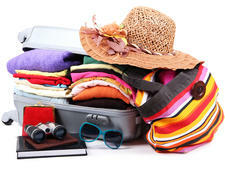 The cruise director will be able to advise which tours are suitable for different individuals, based on their mobility. He or she will also be able to suggest places where disabled passengers can rest, or see an alternative attraction with wheelchair access, if parts of the trip (such as castle visits) involve long walks and uneven steps. For longer trips involving bus travel, coaches are not adapted for wheelchair use, so passengers need to be able to lift wheelchairs and mobility aids onto the bus and be able to climb the steps onto the vehicle. Given the potential pitfalls of cobblestoned streets and wheelchair-unfriendly buses, you might want to research the ports on the itinerary you're considering prior to booking, so you don't get stuck with multiple ports in a row that you can't navigate. If tours don't suit, the proximity of town centers to the docking spots make it relatively easy for independent passengers to explore by themselves, especially as the majority of waterfronts beside the river are very flat and have places to stop for a drink or snack. However, as the price of tours is included in the cruise fare, it'll be up to you to decide if the trip is worth the money if you can't participate in tours. 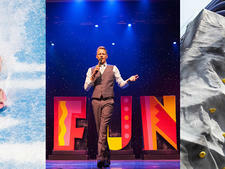 Pick the Itinerary That Gives You the Most Options. A highlight of river cruising is the ever-changing panorama of spectacular scenery, much of which can be admired from the ship. For passengers who are wheelchair-bound, or have very limited mobility, it is best to choose itineraries that cover longer distances with plenty of cruising time. This means they will be able to spend more time aboard with fellow passengers. 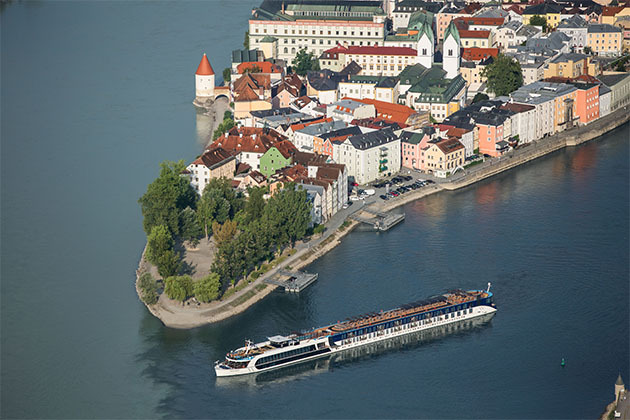 Top options -- and also an excellent choice for first-time cruisers -- are sailings on the Rhine and Danube, the most popular rivers in Europe. Highlights include a day cruising along the UNESCO-listed Middle Rhine, famous for the steep Lorelie Rock where a legendary siren is said to have lured passing sailors to their doom. Similarly, the Wachau Valley, also on the UNESCO World Heritage list, is a dramatic stretch of the Danube between the Austrian towns of Krems and Melk. The main cruise lines also offer 15-day journeys from Budapest to Amsterdam along the Rhine, Main and Danube, providing a very easy way to take in five countries compared to the hassle of land-based travel on a similar itinerary. Countries such as France and Portugal are undeniably beautiful too, but itineraries clock up fewer river miles between ports. That means passengers don't see as much scenery if they choose to stay onboard while other passengers go on shore excursions. The shore trips on northern France itineraries often include full days at major sights such as the Normandy landing beaches and other Second World War landmarks, with long bus journeys to reach them, so they are not suitable for people in wheelchairs who can't climb the steps into the coach. Cruises through the wine-growing regions of southern France are better suited to disabled passengers as they stop in interesting towns and cities (including Macon, Lyon and Avignon) that can be explored without the need for a coach transfer. In general, it pays to study the itinerary and excursions carefully before booking to determine how much you'll be able to do and whether you might need to skip key attractions. It should also be noted that although tours are generally included in the river cruise fare, passengers have no obligation to go on them. There will always be people who decide to stay onboard while the ship is in port, so nobody ends up alone and all the ship's facilities operate as usual. Discover Truly Accessible River Cruising. While most river cruise lines offer accessible travel only with major caveats, one ship stands out from the rest. 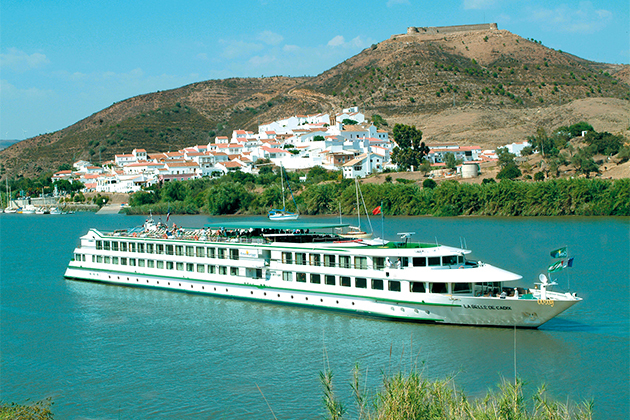 Catering mainly to the British market through the tour operator Shearings, the 100-passenger MS Alegria is the only river vessel that offers totally accessible facilities. 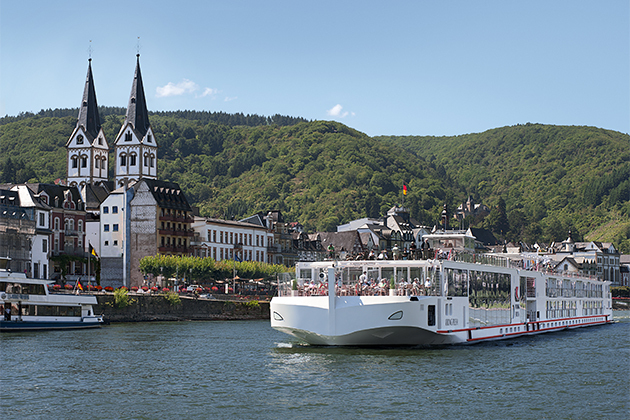 Cruising on the Rhine and Dutch waterways, the vessel can accommodate up to 10 disabled passengers per sailing. Manual and electric wheelchairs, foldable electric scooters and walking frames can be used onboard. Passengers can also bring larger electric scooters for use ashore. Cabins for wheelchair-dependent passengers feature large doorways and "wet room"-type bathrooms, with seats in the showers. Other cabins have wheelchair-accessible doorways, and shower stools can be provided on request. Travelers can elect to rent ceiling-mounted hoists (to assist passengers into and out of bed) and other mobility equipment, such as walking frames to use on the ship and stools for showers that are not already equipped with them. Items available do not include medical equipment, although small oxygen cylinders can also be taken onboard with prior arrangement. Three elevators link the passenger decks, and two chair lifts take disabled passengers to the sun deck. The ship has wide corridors and offers a collection and return service for mobility aids that are not stored in the cabin. Alegria moors at wheelchair-accessible dockings and offers excursions suited to wheelchair users. 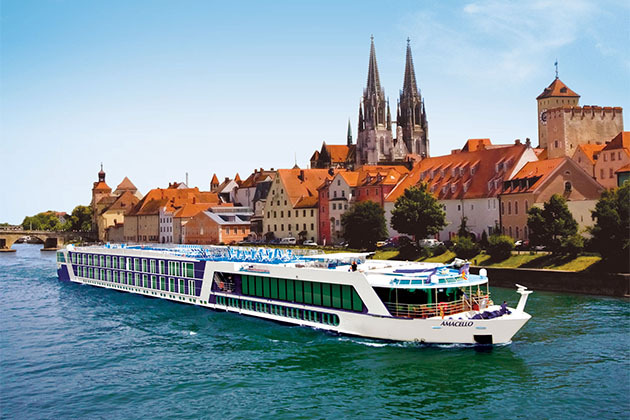 Learn About the Rest of the River Cruise Lines. If you're considering a cruise on one of the major cruise lines, here's how they stack up when it comes to accessible travel. Feeling overwhelmed? Ask a knowledgeable travel agent -- particularly one who specializes in river cruising or cruise travel for people with disabilities -- to help you find the ship and trip that's right for you. AmaWaterways: Passengers are recommended to bring collapsible wheelchairs that can easily be stored in the cabin. All stateroom doors are wide enough to allow access, and AmaSerena, AmaSonata, AmaReina, AmaPrima and AmaCerto have specially designed cabins that have slightly wider doors and modified bathrooms that allow wheelchair access. These cabins also have an emergency access door leading directly out of the ship, which can accommodate a wheelchair during emergency evacuation. Every ship in the fleet has an elevator that serves all floors except the lower deck and sun deck. Crewmembers will assist any passengers with disabilities to the top deck, and help them at any other time onboard, subject to availability. It is strongly recommended that disabled passengers travel with a caregiver who can assist them on tours and with getting on and off the ship. Many shore excursions are accessible for passengers with limited mobility. A-Rosa: The German-owned line offers one cabin suitable for passengers with limited mobility on A-Rosa Viva -- one of its "international" ships that have dedicated English-speaking hosts. With prior notification, passengers can bring their own wheelchairs and mobility aids onboard. Medical oxygen bottles can also be carried, again with advance notice. When available, crewmembers will help passengers on and off the vessel, or on stairs. This cannot be guaranteed, so disabled cruisers need to be accompanied by a person who can assist them. Avalon: None of the ships have wheelchair accessible cabins. 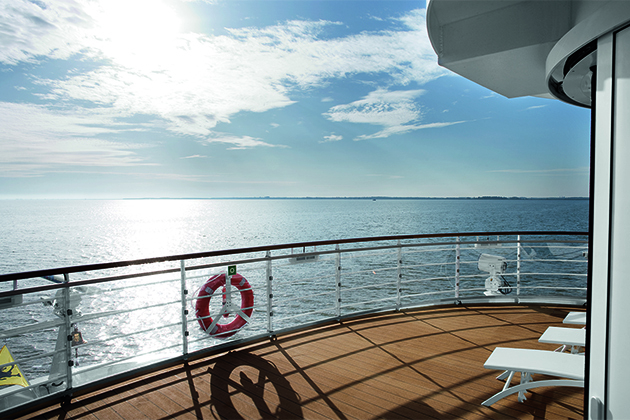 There are elevators on Scenery and Panorama-class ships, excluding access to the sun deck. Members of the crew will provide as much help as they can, but a single crew member cannot be assigned to someone with mobility issues for the duration of the cruise. Anyone with mobility issues is requested to fill out a detailed questionnaire prior to the cruise, so the line can ensure it can accommodate them and fulfil their individual needs. Some local walking tours from the ship are suited to wheelchair users who have an able-bodied companion. CroisiEurope: All of CroisiEurope's premium-rated ships offer accessible cabins with wide doors and equipment for passengers with mobility issues. 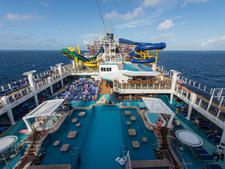 The three-deck ships have elevators that go to all floors except the sun deck. Disabled passengers need to travel with an adult who can assist them, as crew availability is limited. Passengers are encouraged to contact the line in advance, so it can recommend the most suitable vessel for their specific needs. Emerald Waterways: Emerald Sky and Emerald Star each have one handicap-accessible cabin, located next to reception so passengers have easy access to and from their rooms. Elevators serve passenger decks, but do not go to the sun deck. Disabled passengers need to have a caregiver with them, and only collapsible wheelchairs can be accommodated. Some excursions are accessible to disabled passengers. Scenic: The line provides "limited mobility suites" situated near the reception desk on all its ships. These feature a wide, wheelchair-accessible door; a bathtub with grab handles; and wheel-in shower with a stool and wall rail. Ships have elevators serving the passenger decks, but not the sun deck. Some excursions are handicapped accessible. 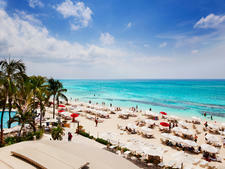 Uniworld: Wheelchair-accessible staterooms are not available; however, all shower stalls are equipped with grab bars. 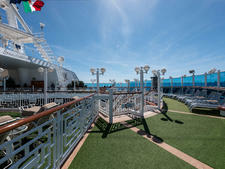 Most ships have an elevator to serve passenger decks, and a chair lift leading to the sun deck. Travel-sized, collapsible wheelchairs can be used onboard, and there is a "gentle walking" shore excursion program offered in select locations. The line asks that all passengers should be able to walk unassisted in order to participate in guided tours and, if a wheelchair is necessary for use ashore, then guests are recommended to explore independently. Vantage: Ships are equipped with a hydraulic chair between the top passenger deck and sun deck, and there are elevators serving all the inside decks. Discovery II has a handicap cabin and all ships have an accessible restroom in the public area. Passengers also have access to extra wheelchairs that are carried onboard. The line's policy is that all disabled passengers must be accompanied by someone who can be fully responsible for helping them on and off the vessel and tour buses. Viking: The largest river cruise line welcomes disabled guests, but points out challenges that exist onboard and during shore excursions. Viking does not have any designated wheelchair-friendly cabins. Most ships have elevators; some ships have split-level decks and/or significant thresholds that could make movement difficult. Shore excursions often include walking over cobblestones, or up and down stairs. Physically challenged guests require the services of a travelling companion who can help with all their needs since crew availability is limited in most circumstances. Collapsible wheelchairs are allowed, but motorized scooters cannot be accommodated. Guests who have any medical, physical or other special needs are advised to check the fleet information on the website to gain an understanding of the layout of any particular ship, or contact the line with any questions.